When I saw that we were going to have the opportunity to request to be on a review for YWAM Publishing I knew my son was going to be excited. He already has several books from their Heroes of History series, and was excited to be able to request a new title. After looking over the list his first choice was Orville Wright. As a child I was fascinated with the Wright Brothers and my son seems to share that interest. Living only a few hours away from where they made that first historic flight makes them even more interesting. Once we got news that we were selected for the review, we started watching the mail and waiting for the book to arrive. He was quite excited to open it and start reading when it arrived a few days later. Considering that we intended to use the Study Guide to accompany the book I had planned to take 2-3 weeks to go through the book, he loved it so much he completed the entire book in just a few days. He then used the book as he went back through and did the study guide activities. The Heroes of History series are all biographies of heroes that had a historical impact and told from a Christian perspective. Some of these go back to the founding of our country, men such as George Washington and Benjamin Franklin. Others are more modern day heroes like Ben Carson and Billy Graham. Orville Wright sits in the middle of those, living from 1871 to 1948. The study guide is a PDF including 83 pages of ideas and activities. You could use this to make the book into a complete unit study or you can pick and choose activities to make it fit your needs. There are discussion questions for each chapter, writing prompts, creative writing activities, hands on projects, and arts and crafts. It also includes a timeline activity, basic information sheet, and several maps. We chose to select a variety of activities to expand on his learning through the book. I started by having my son complete the basic information sheet, timeline and a couple of the maps to help him show me what he had learned while reading the book. He then chose a writing project and a hands-on component from the study guide and we finished it off with a field trip to the Wright Brothers Museum in Kitty Hawk. For his writing project he chose, “As Wilbur did in 1896, write a letter to the Smithsonian Institution, requesting information about an area that interests you. You can contact the museum at Smithsonian Center for Education and Museum Studies, P.O.Box 37012, MRC508, Washington, DC, 20013–7012 or via e-mail at learning@si.edu.” This was a lot of fun for him and he is waiting and hoping to get a response from them on his request for information. For his hands on project, he chose to find a small household machine that he could take apart and study. He found an old drill. He took it apart, labeled each of the parts, and shared with us how the parts worked together to make the drill run. We finished our unit study off with a wonderful field trip to the Wright Brothers monument and national park. We had a lot of fun learning even more about the brother, running down the runway and flight path of those very first flights, and even eating lunch in the lifesaving station from which the famous telegraph of their success was sent in 1903. C.S. Lewis once said, “Since it is so likely that (children) will meet cruel enemies, let them at least have heard of brave knights and heroic courage. Otherwise you are making their destiny not brighter but darker.” I think that Orville Wright: The Flyer like the other books from YWAM Publishing offer children great examples of real life heroes. The books work great as a family read aloud, independent reading, or complete unit studies when combined with the study guides. If this book interest you, you might also want to check out my review of one of the other books in the series about Alan Shepard . You can also click below to check out the variety of reviews by other Crew members. There are so many great choices to choose from. 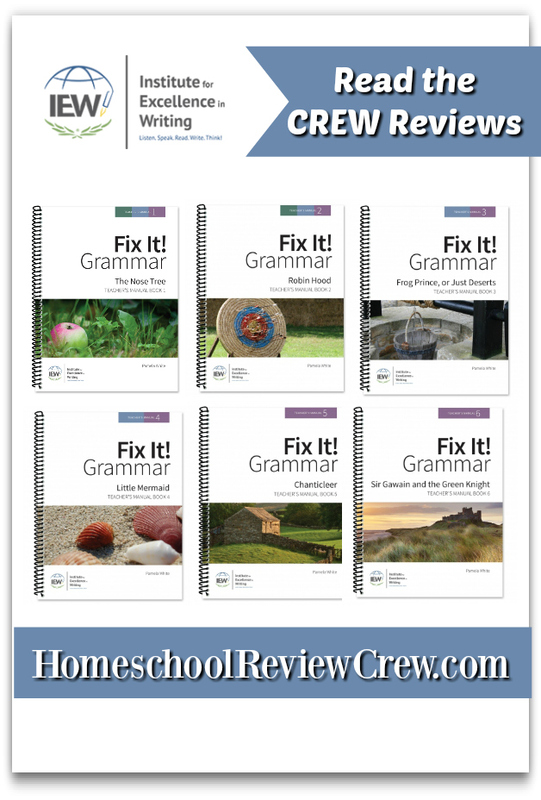 Grammar has been the thorn in the side of my existence as a homeschool mom; finding a program that worked but that wasn’t dull and dry has been a real challenge. Along came an opportunity to review Fix It! Grammar which promised short lessons and the opportunity for students to apply grammar concepts in context. I knew that Institute for Excellence in Writing (IEW) created quality products and so I decided I would give it a chance and see how it worked for my daughter. We started at the beginning and review Student Book 1, The Nose Tree. The program is built around four, approximately fifteen-minute long lessons per week. The first day took a bit longer than that as we got set up and my daughter and I both got learned how the program worked. After the first day, she was able to finish each day’s assignments in 10 to 15 minutes. I went over each day’s work with her but (after that first day) she was able to complete the work independently. In each lesson a student only has to work with one sentence. They read the sentence and then in their notebooks define the one word that is in bold print. Next, they mark the sentence for grammar by marking the parts of speech that have been taught thus far as well as fixing any mistakes. Once they have it corrected, they turn to a second section in their notebook and add that sentence to the story that they are working on, making sure to include the correction punctuation and any fixes they noted in their books. Each sentence from the beginning to the end of the book adds to the same story. This makes it fun for them to find out what happens next. This whole process generally takes no more than fifteen minutes. The student workbook also includes grammar cards with the different concepts to cut out and use for review. They are double sided with the concept on one side and an explanation on the other. For example, the first card says “Nouns N” and then the back gives the definition of a noun and a couple of tips for helping determine if a word is truly a noun. The teachers manual shows the sentences that are in the student workbook with the appropriate corrections. It also includes explanations and helpful tips. For example, when it taught about quotation marks, the teacher tip explained why quotation marks were supposed to be curved but were sometimes straight because of type writers. There is also a glossary at the back of the teachers manual and the student workbook which have lots of great grammatical information. It explains concepts like Oxford comma, capitalization rules, and clauses. Fix It! Grammar turned out to be a great program for my daughter. Institute for Excellence in Writing (IEW) did an excellent job offering a high quality, thorough program that is easy to implement (all the busy moms rejoice) and engaging. Other reviewers from the Review Crew checked out other levels of Fix It! Grammar so make sure to check out some of the other reviews at the link below. What do you do with a child that is ready to start kindergarten work, when you are already balancing two other older children and a baby? You look for a product that will give him what he needs in a simple easy to use format that doesn’t take all day. I’m researching curriculum for my son who turns five next month and is in that very situation. 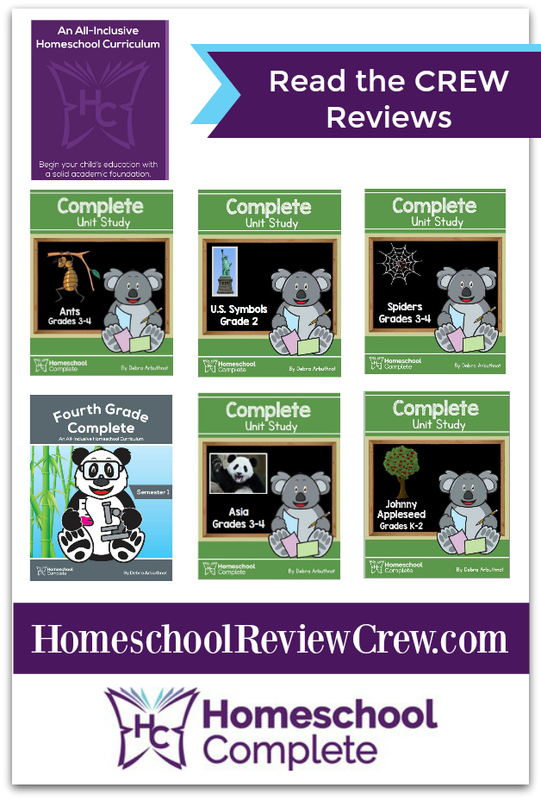 Homeschool Complete offers full programs that are all inclusive and feature a unit study format. I decided to try out the first semester of Kindergarten Complete with my son and see how it worked with him and with our schedule. The semester is broken up into various units including: All About My Family, Fall, Farm Animals, Zoo Animals, Winter, Sea Life, Martin Luther King Jr. and more. Most of the units are about four lessons long with each lesson being one day’s work. They suggest using the unit for four days and having the fifth day of the week be activities of your own choice. 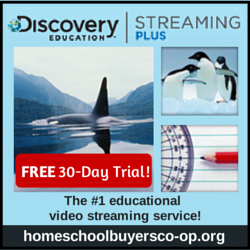 My son was excited about ‘doing school’ and eager to try this program most days. I found that it took us between 45 and 60 minutes to do the lessons most days. He really enjoyed the math and reading components (which at this point were mostly read alouds with comprehension questions). He was starting to learn some of the letter sounds but struggled with those as well as the writing components. I felt like the math was moving at a really good pace. He could easily keep up but was not becoming bored. He struggled to keep up with the writing even though it was mostly copying words that I had written. He enjoyed learning how to write his name but when he had to write other words, he seemed to struggle. This will vary based on the child and it is worth noting that he is on the younger side and another 6 months or a year’s worth of fine motor skills may make the writing much more attainable for him. Each day they would go through their calendar activities, talking about the date, days of the week, moths of the year, etc. There was a short math lesson, followed by language arts which generally consisted of reading a book or passage aloud and then discussing it. Often the book or passage related to the theme of the unit study and included the science or social studies for the day. Most days also include some type of enrichment activity. Also days often include a Bible lesson, physical education lesson, art lesson or music lesson. These extras are typically very simple and easy to implement. For example, practice a low crawl for fire escape is one of the physical education ideas. An example of an art lesson was to create colorful fall trees by painting with sponges. One of the enrichment/science activities was carving a pumpkin and having the child feel the inside and then use adjectives to describe it. I thought this program was well thought out and provided good coverage of the basics with some other fun activities. We are a very science and history heavy family and I would include more of that in our studies but those would be easy to supplement. If you are a family that starts those subjects later or puts less emphasis on them at a young age, there is probably plenty included in the curriculum. In addition to the curriculum you do need to be prepared to purchase or borrow books for each unit. Many of them are fairly common and not difficult to find. We also utilized videos of a couple of them being read aloud on YouTube for books that we did not have. There are materials needed for some of the art and science projects but in general they are common materials or inexpensive. For example, we needed pennies for counting one day and paper and crayons for an activity. 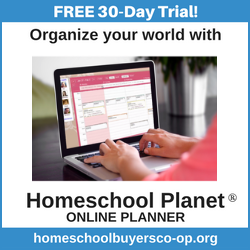 Overall, if you are looking for a simple and easy to implement complete kindergarten curriculum Homeschool Complete may be a good choice for you. They also offer complete curriculum for grades first through fourth and unit studies for grades K-6. I encourage you to check out their website as well as the other crew reviews to see if this might be a good fit for your students. Jelly Fish, Jello, and Jesus : Letter J Preschool Activities and Printable! You might think ice cream is a summer time treat, but we sure enjoyed ours in November too. Benjamin loved making and eating his own little baggie of ice cream to finish up our study of the letter I. He spent quite a bit of time practicing tracing and writing his letters in his dry erase book this week. He enjoys sitting and working on that while I work with the ‘big kids’ on their school work. I am excited to include some extra Bible time this week with our letter studies. The letter J lends itself well to a focus on Jonah and more importantly Jesus. We have several children’s Bibles (including this interactive one Planet 316 Story Bible ) that we often read from and I will just include a bit more of that and some conversations focusing on Jesus as well as Jonah. We have the DVD for Sight and Sound Theater’s Jonah production that we have waited to watch so I’m hoping to fit that in as a family movie night in conjunction with our letter J studies. Jets and airplanes are fascinating to many children and are a fun topic of study. There are tons of great books and movies on jets, including several free ones on Amazon Prime. We also have a one that we should be able to stop by and see one day this week that is on display at a local park. For nature study this week we are going to talk about jelly fish. My son loves the water and has seen many jelly fish, so they should be a fun topic for him even though we will not be able to actually see any live ones this week. We can use this live cam of jelly fish and try this fun jelly fish craft. We can also read Jenny Jellyfish by Suzanne Tate. If you are not familiar with her books, I highly recommend them. They are lots of fun. In addition to the fun activities focused around letter J we will of course work directly with the letter. This letter J craft ties into our jelly fish study. We will also work on making the letter J both with fun materials (like Play Doh or shaving cream) and writing them in his dry erase book. Unless I have found a unique activity that I think he will really enjoy I normally find it works best to give him a variety of choices and let him pick which one interests him that day. This keeps him engaged throughout the week. I hope this post gives you some ideas to get started with the letter J. Please share your ideas for letter J in the comments below! Don’t forget to download your free letter J sensory bin printable. The World of Peter Rabbit and His Friends Only .99 on Kindle! We love Beatrix Potter’s stories and this one includes her original illustrations. Alice in Wonderland on Audible for less than $1!! FREE: Check out this great new FREE resource for classical and Charlotte Mason education! 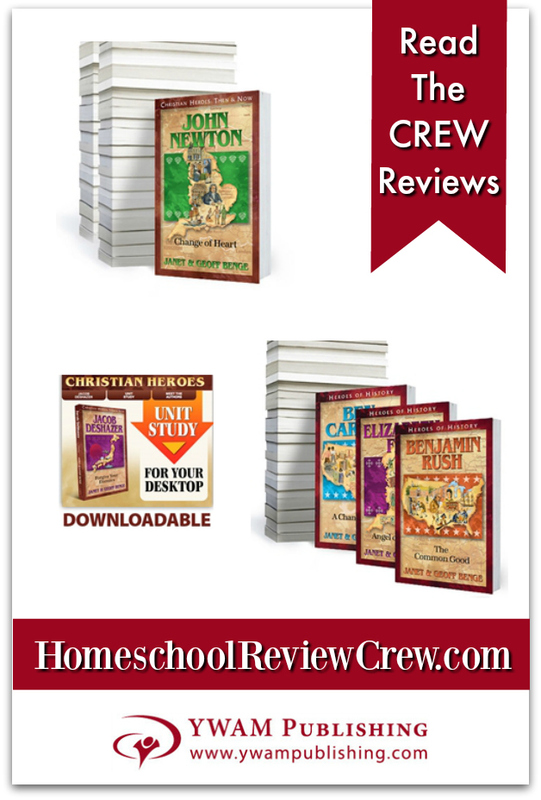 Classical Christian Education & Charlotte Mason. 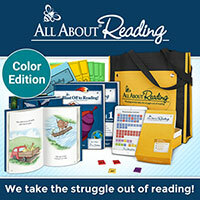 Great for folks already homeschooling or if you have friends that are looking into it! FREE Fantasy and Fairytales StoryBuilders from Write Shop! Igloos, Ice Cream, and Insects: Letter I Preschool Activities and Printable! My favorite part of the letter H study were the fun hand print turkey papers that we made. He loves finger painting and I thought they turned out so cute. We made several so that we could send them to a few relatives for Thanksgiving. We didn’t get a chance to make the Hot Cross Buns but we did enjoy a hike, a letter H scavenger hunt, and hand print crafts. He also had the opportunity to visit a great little backyard zoo for a field trip this week. We also spent some time talking to and about our heroes. Like H, I is made up of straight lines that generally make it easier for a young child to write or trace than curved letters. We will practice I as well as the letters he has learned so far in his dry erase letter book. He also really enjoyed the glue and glitter letter activity that we did with G so we may try that again with the letter I or we may use his PlayDoh . He loves collecting ‘bugs’ so our study of insects should be a lot of fun. We have the book, Pets in a Jar, which is a super helpful resource if you want to collect insects to study for awhile. While it is not just insects, it covers the care of many different insects and has given us many hours of fun and learning. There are also premade kits that can help give your new insects a place to live while you study it if you prefer. If you do not want to catch your own insects to view, you could always purchase a butterfly garden kit. I think we will find a few insects around our home to study and then try the butterfly garden this spring. If you didn’t want to do it this week, it could make a great Christmas or birthday gift since you can get the kit and redeem the certificate for the caterpillars at a later date. I think we will enjoy an ice cream treat this week in celebration of the letter I. We could always purchase ice cream but I think he will enjoy making his own. There are several very simple ‘ice cream in a bag‘ recipes that can be used to make a small amount of ice cream without any fancy ingredients or an ice cream maker. Finally, I think we will have some fun with ice. There are some great sensory activities or these fun science experiments. You can get as complicated as you want or as simple as getting a few ice cubes out of the freezer and letting them explore with them. There are many books that you could use to accompany an I theme but my son is particularly fond of Curious George so we will probably use Curious George and the Ice Cream Surprise. If you are looking for a video to watch, Sid the Science Kid has an episode on ice that is included with an Amazon Prime membership. There is also a Popular Mechanics for Kids episode on Igloos that would work well with this week’s theme. I hope this post gives you some ideas to get started with the letter I. Please share your ideas for letter I in the comments below! Don’t forget to download your free letter I sensory Bin printable. Heroes, Horses, and a Hippopotamus: Letter H Preschool Activities and Printable! Last week we covered the letter G and I almost forgot one of my favorite G snacks, guacamole. We love guacamole with chips, tacos, or even on salads. My son even calls avocados ‘baby guacamoles’ because we generally turn them into guacamole. The glue and glitter letters turned out really well and were a great quick and easy craft. My daughter even found the green glitter so that it was a green, glue and glitter G.
H is a fun letter and typically fairly easy for a child to draw because of the straight lines. I think that for our main ‘H’ snack instead of doing snack we will make Hot Cross Buns for breakfast with hot cider. My son loves to help in the kitchen and will enjoy making them with me. I also found this recipe for hoe cakes that looks tasty. I may try to make some of those to go along with some chili this week as the weather is supposed to be cool. We started our study of H on Sunday by taking a hike. We had the opportunity to take about a half mile hike down to a small stream and through some beautiful forest. We searched for things that started with the letter H while we were hiking and we found hickory nuts, hanging branches, hickory trees, habitats, and a hiking stick. You could go hiking on a local trail or even in your own back yard or you could go looking for H somewhere else like the grocery store. In addition to our snacks we may have our sensory activity be food related. My older children are going to do a history project where they draw in cookie dough and I could easily let him practice his letters on a few of the cookies. H is for hand print in this weeks art work. There are so many fun hand print art projects but since we are getting into November I think we will do a turkey. He can trace his hand print and then color the fingers as feathers and the thumb as the head. We may also do some finger paint hand prints for fun. Last but not least, we are going to talk about heroes! We believe that providing positive heroes is an important part of providing our children with the guidance they need to grow into Godly adults. My husband believes so strongly in the importance of this that he wrote and published Heroes Next Door which is aimed toward the teens and tweens age group but can be used as a read loud for younger children. For our study of heroes we are going to talk about people we know or have read about that have done heroic deeds. With young children I think using people they actually know makes it easier to conceptualize, so we will talk about our veteran friends as well as our friends and family in law enforcement and emergency services. I hope this post gives you some ideas to get started with the letter H. Please share your ideas for letter H in the comments below! Nature Study: Hurricanes, Horses, Hickory Trees and Nuts, Hills, and Hiking. Giving, Giant Sequoias, and Grapes: Letter G Preschool Activities and Printable! We had so much fun with the letter F last week! I love that it timed out so that we were able to go to the fair while we studied the letter F. In addition to our regular fair activities (milking a cow, seeing all the animals, tasting yummy treats, and visiting all of the exhibits), we had a lot of fun trying to find things that start with the letter F. When you consider how many things are fried at the fair there were lots of food options for the letter f: fried vegetables, fried candy bars, funnel cake, french fries, fried soda, fried fish, and fudge. The whole family got involved with the letter f scavenger hunt and we found everything except for the fish. His favorite letter might still be B for Benjamin but he had a great time learning about the letter f.
This week’s study of the letter g will be a bit more tame than our study of f but hopefully still lots of fun! No field trips but we will do some nature study, sensory bin work, and Play Doh letter making this week. Our nature study is going to focus on the giant sequoia trees. We live on the other side of the county from these beautiful trees so a real life field trip is not an option right now. however, I think my son will really enjoy checking out all of the great information and pictures from the National Park Service and the Visit California site. There is also this cute two minute documentary about the giant sequoias that is free with Amazon Prime. If you wanted to take it a step further you can actually buy a kit to try and grow your own giant sequoia. We may also take some time to do a little art work related to the letter G. For practicing making the shape of the letter I will use glue sticks and glitter. I will give him a piece of paper with a large letter G on it and then have him trace the letter with the glue stick. After the letter has glue he can sprinkle glitter on it to cover the letter. Shake off the excess glitter into the trash can and he has a sparkly letter G. Since he really loves art we will do one or two chalk pastel projects as well. There is a great green anole in the Backyard Nature lessons or this fun goose lesson in the Pond Nature lessons. If you are concerned about the messiness of the crafts then check out my tips for being able to say yes to crafts and sanity. Games is a fun extra activity because there are so many options. We can play board games, card games, or outdoor games. Games are a great way to work on various skills while having fun as a family. You can play competitive board games or if the age ranges in your family make this difficult try a cooperative board game like Race to the Treasure or our family favorite Wildcraft. Grandparents are a valuable part of a child’s life and this is a great week to spend some time with a grandparent if they live close by or take some time and do a craft or card to send to a grandparent that lives further away. If grandparents are no longer living you could spend a little time this week sharing pictures or telling stories about your parents to your children. Giving or service can sometimes be a bit tricky when children are younger but there are lots of ways for them to give back to their community. You can make cards to send to people who serve your community or bake cookies for a local fire department. I will have my son help me bake cookies to give to the volunteers that are staying at our church to help with hurricane relief work. If you want more ideas these 100 ideas were written for the holidays but most could be used anytime of year. I hope this post gives you some ideas to get started with the letter G. Please share your ideas for letter G in the comments below! Guitars (My son loves playing around on his small guitar and if you don’t have one in the house you can make one from cardboard! Don’t forget to download your free letter G sensory bin pictures. Fishing, Fairs and Fairy Tales: Letter F Preschool Activities and Printable! My son’s favorite letter up to now has been B because it is the beginning of his name and the first letter he learned to recognize, but this week’s letter might become his new favorite. What is so special about the letter F? It is the first letter of his favorite activity: fishing! And to make it even better it is the first letter of our field trip for this week: the fair! We will be attending our State Fair this week and we are excited to be able to include that in our letter study! In addition to talking about the fair and how it starts with F, I created a scavenger hunt at the fair for things that begin with the letter F. You can download your copy of the scavenger hunt below. There are also some yummy treats at the fair that start with F. We always enjoy splitting a funnel cake and French fries are one of my son’s favorites. Our nature study is going to focus on fish. While we may not be able to study those up close this week due to the weather we are going to look at his fish books, color pictures of fish, and hopefully find a few fish at the Marine Fisheries exhibit at the fair. We will also cover the season of fall in our nature study. While fall officially started several weeks ago, this is the first week that we are slated to have fall weather! With the cooler temperatures it will be fun to go outside and look for changing leaves and other signs of fall. I also have a collection of fall books that I want to incorporate into our days. My sons loves finger painting and I think that will be a fun sensory activity to help learn the letter F. We are a big fan of finger painting because it encourages fine motor skills, it is easy to clean up, and of course lots of fun. If it feels too messy you can choose a different activity or check out my post on making it easier to say yes to the messy activities. My son’s favorite number at the moment is the number four. I think it maybe a rule when you are a small child that your favorite number matches your age. He wants to eat four of everything, do things for four minutes or four days, and put everything into groups of four. This is a great week to reinforce that number through counting, activities, and possibly add drawing the number 4 in finger paint to our letter activities. Finally what better way to enjoy the letter F than with a few good fairy tales! There are so many great ways to enjoy fairy tales. We can read them in some of our favorite books, listen to them, watch a movie, or even make up our own fairy tales. I hope this post gives you some ideas to get started with the letter F. Please share your ideas for letter F in the comments below! Fairy Tales (This 5 minute fairy tale book is free if you have kindle unlimited). Don’t forget to download your free letter F sensory bin pictures to use this week!